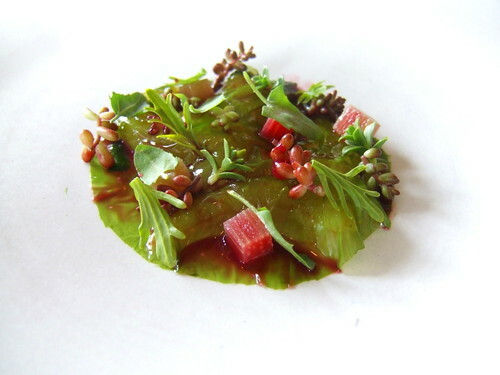 From what I have seen/heard/tasted, it certainly seems Noma is at the forefront, if not leading the way, amongst the current (utterly charming) ‘new naturals’ movement that places such as Ubuntu, el Poblet, etc appear to be a part of. What an inspired meal. Wow, Chuck, I can’t believe I haven’t come across your site before! I’ve lived and dined around the world as a student and an English teacher, so needless to say my budget has been a bit more limited. It’s helped me appreciate the more modest, traditional side of each city and region’s food culture (with the occasional splurge). However… I do dream of the day when I follow in your footsteps! I will be back many, many times. Thanks for stopping by my humble little blog. @IFS I appreciate that point – and it is not something set in stone yet – but I think aesthetics are very important to and prominent with the new naturals (in particular evoking nature in the presentation of dishes). 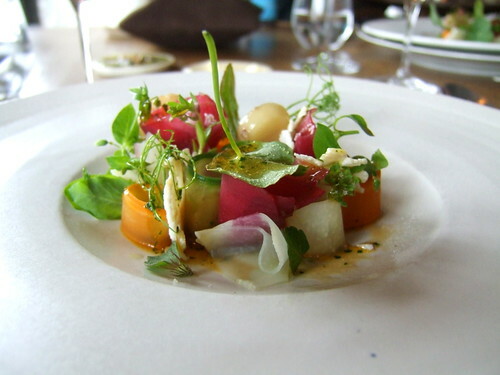 Natural, local ingredients are certainly at its centre, but it is also about what is done with them. I consider restaurants such as Manresa and Arpege too (add Bras, Mugaritz, etc) as almost – to invoke an almost natural image myself – the ones that ploughed the furrows that allowed these seeds to blossom into what they have become. Thank you so much for providing such strong and sharp interpretation of noma and Rene, for sharing your experience here with everyone and, not least, for taking me back to our great lunch. A very special experience for me too. Looking forward to seeing you back! 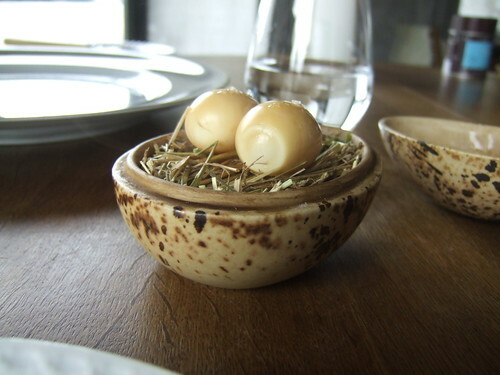 I don´t know how many times we have spoken about going to Noma and countless time ended somewhere else:(,, but this gives me even more inspiration. We went to Lejontornet in Stockholm when Rene had a apperance but I really think that you have to try it “at home” to get the full experiance. 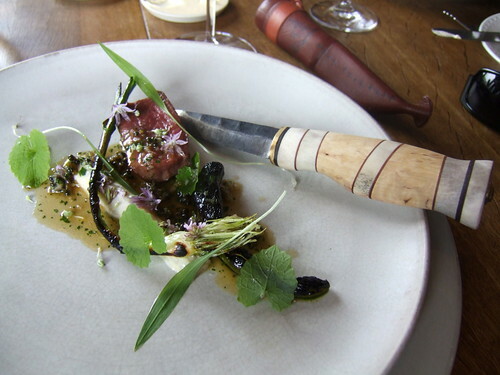 If someone wants to see pictures from Oaxen just jump to me and my brothers blog, sorry for being non-english, but we had everything on the menu exept the pigs head that were sold out that day…..
I´m going to Tokyo in a week so it will be fun to check out Ryugin and compare it to your trip that loked really good! @FoodSnob – go to El Poblet once the German tourists leave for the summer – you are so close and it is so important. Eat two meals – once for the tasting menu and once for a la carte. @IFS – thanks – there is an emotional component that I did not really touch upon – the experience is not ‘just a good meal’ – it is meaningful and revelational. @IFS & FoodSnob – Mugaritz, L’Arpege, Bras, & El Bulli are probably the grand-daddies of this ‘movement’ (though I consider it more of a loose confederation.) In my mind, the philosophy goes beyond aesthetics, as places like El Bulli & Bras could not be more different in style. As such, El Poblet could very well be mentioned in the conversation, as their ingredients are not only first-rate but the food, despite its experimentation and ‘landscapes’, captures the spirit of the area; but I do consider the food in a league of its own. @Cari – thanks for the complements – look forward to more of your Southern travels! I better go indeed, before I miss out. Agree, movement is not the right word, least of all as it sounds rather choreographed. Just to be clear, don’t think me so shallow to limit the philosophy to aesthetics. I think the look of the food beyond just pretty, but affecting – although, I admit, this may be a thing more personal than factual. 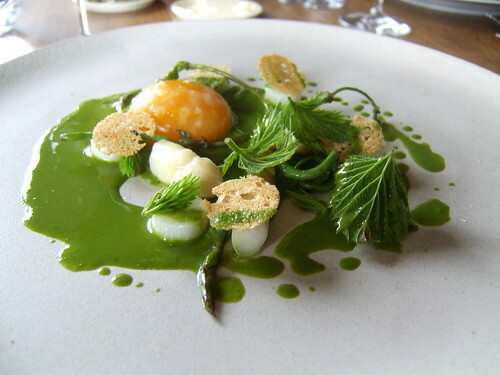 I think the visual is an effective element of it or maybe by-product, but seasonal, top quality ingredients and intense ‘local-ness’ are the drivers – these are restaurants that literally could not be anywhere else. Chuck, thanks for the timely review. 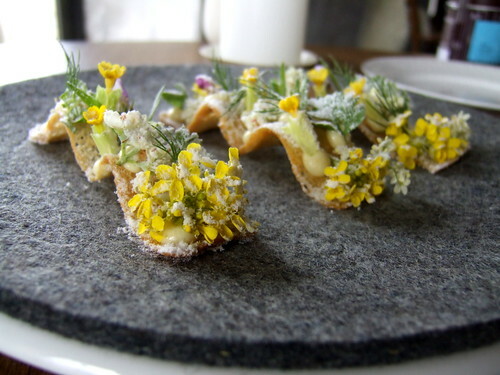 I was already looking forward to visiting Noma in October, now even more so. Anything else you’d recommend while I am in Copenhagen? @Misha – Aamanns (i think that’s the correct spelling) was excellent for casual but very high quality lunch. That is where I had the noma-inspired beef tartar. For fine dining, check out Trine’s blog (as well as some of the others that have commented thus far.) Do not go to The Paul – amazing ingredients, terrible execution (think Cyrus but not as tasty.) My other meal was Geranium, which went out of business. @Misha: try MR after the re-launch definitely worth a visit. Avoid Bo Bech (Paustian) at any cost, this was dreadful. And, check out Trine’s wonderful blog. Still struggling with el poblet to be counted in – somehow the landscapes are too much on the forefront than the natural ingreients – just my take. 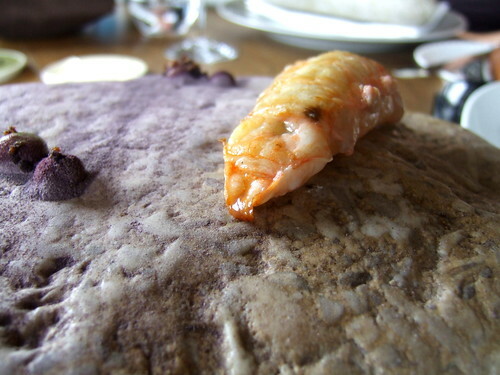 And, Mugaritz for me was a prime example for too intellectual and missing the point cuisine. Most dishes were bland and some even disgusting on my last visit. Nice write up Chuck and great photos. After that it is really time for me to go back. I was not really moved when I went a few years ago and I have not really been keen on going back after that meal. The technique was there and clearly the potential was there but the quality of the produce was far from what makes me tick. I have had some of the dishes in your write up at other occasions when René has been cooking but as we know it is never like on the home turf. SO at first opportunity I will give it a try. I am not sure what you mean with el Bulli being one of those who started the “naturals” movement. For me, Adria (Ferran) is more like the leader of the pack who basically almost killed gastronomy. Also, it would be interesting if you could elaborate on how the Spanish revolutionized dining. I saw the Spanish come and recently basically go away, and I am sorry but I never understood what happened. I would be delighted if I could understand what I missed. Chuck – great stuff. 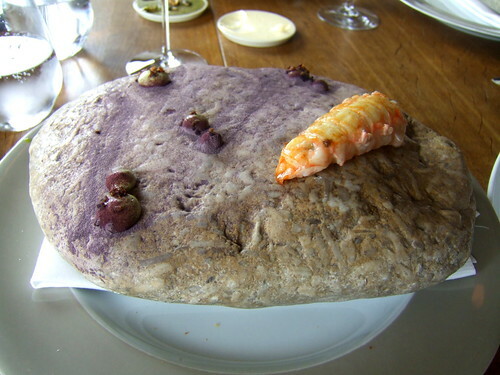 It was during my post-graduate blogging dark ages, but I was at Redzepi’s guest appearance at Manresa last year too, and found it phenomenal. I guess I should have assumed you were in the house as well. @Mikael – w/r/t produce quality, you are obviously far more knowledgeable than I so I can’t make any guarantees if it has reached your (high) standards yet. 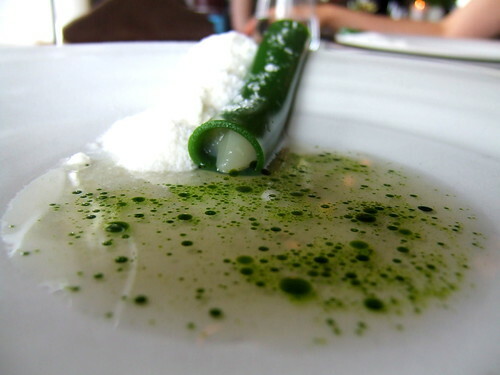 As for El Bulli, my main point there was the ‘democratization’ of ingredients, for example, serving chicken feet in a 3-star meal instead of caviar and foie gras, allowing any ingredient fair opportunity to appear on the plate. As for the Spanish, ‘revolutionized’ may be over-stating their influencing but the have certainly captured the imagination of a new generation of chef. 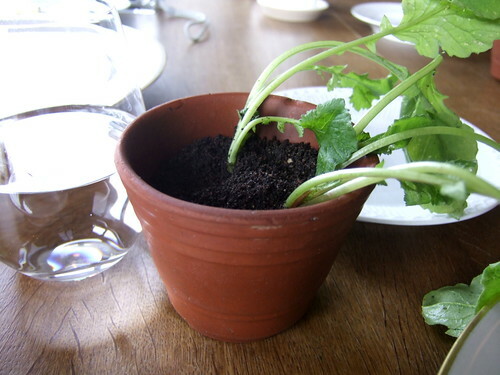 I expect Noma to have progressed a lot since I was there with respect to produce sourcing. A lot is happening in Scandinavia. Also, René is on his way to find his own style, if he not already has. It is a style in which he has incorporated the authentic flavors of his region. That is quite a feat. I can agree with that Adria was involved in the democratization of ingredients and that is/was a good thing. Especially the French were, and still very much are, quite a bit stuck with a pretty much a traditional list of what is supposed to be served in a gastronomic restaurant. This list has been passed on from one generation to another for a long time. On the other hand, considering the supply of top quality produce in every corner of France, can you blame them? I do not question that Adria is a great chef. He is one of the greatest. It is true that he more than anyone else, possibly ever, has influenced a new generation of chefs. The question is how good that influence has been. Perhaps a bit too many practices have been subject to a democratization process. Among malpractices I count the use of questionable chemicals with often at best unknown health implications and the acceptance of using pedestrian produce. With pedestrian produce I mean produce of poor quality, not that it is inexpensive or cheap. With these democratization processes, words like taste, flavor and authenticity seem to have become superfluous when describing the cooking of certain chefs. Sorry if I hijacked your blog Chuck. Great review, Chuck. 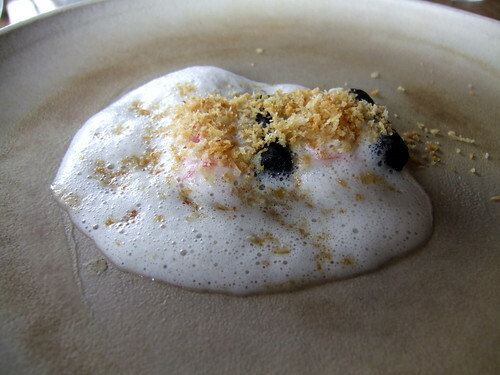 I’ve yet to eat at Noma, although I’ve known about it for a long time and worked with a chef last year who staged there. My fellow chef Nuno Mendes went there earlier this week and I only wish I could have taken time off and gone with. I’m a bit surprised by one or two comments above, in particular those that assume a chasm between the gastronomic movements. 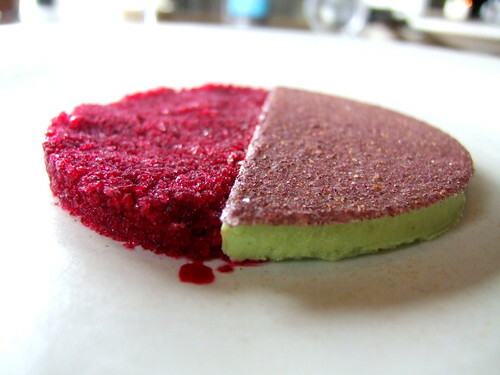 But go to any half-decent restaurant practising produce-led cooking these days and you will find many of the techniques of molecular gastronomy being practised in the kitchen. Even Santi Santamaría confessed to using some chemicals when challenged. Dishes may come out looking incredibly simple and pure, but as a customer you aren’t seeing the complexity of technique that goes into them. It all comes back to that phrase I don’t really like but can’t escape from – cuisine d’auteur. You can be as passionate as you like, master technique to perfection and use the best quality ingredients, but that will only get you very good food, not great food. A million monkeys and a typewriter can’t really produce Shakespeare, whatever the statisticians claim. Passion, technique and great ingredients are necessary, but insufficient, conditions. Bring something special – your own individual vision, artistry and touch – and you get truly great food. 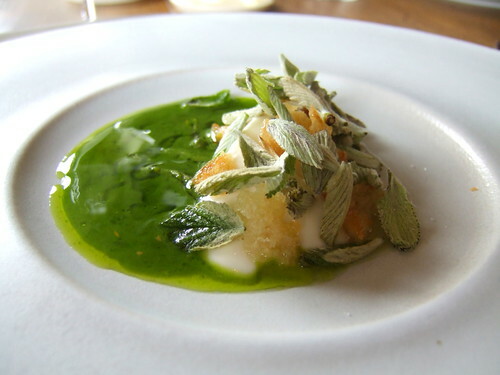 Grant Achatz has ably demonstrated this in recent years and René Redzepi is well on his way from what I can see. Indeed, the malpractices go on everywhere. It is a very sad development. As the previous poster suggests, the result of the last 15 years of gastronomic development is the emergence of non-produce based cooking as opposed to cooking based on great produce. Apparently, there are clients for it. It is not for me. Many chefs claim they have great produce but frankly the list of chefs who really go out of their way to find truly great produce is much shorter than people think. Lovely report Chuck ! I think i got all this dishes during my last 2 meals and you really caught the essence of such experience. My meal of last monday there was just exceptional : this 5th meal there was simply the best meal of my life ever, got new creations from René mixed with signature dishes. Went also to MR (my previous meal 2 weeks ago there was fantastic, this one was nice but not faultless). 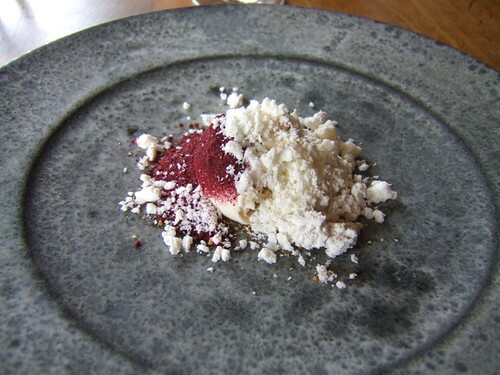 Herman is another must in CPH with maybe one of the best service in town (except noma of course) while the kitchen delivers highly executed dishes. Got at least 2 dishes with a 3* level. Oaxen was out of time. Same as Bras is. In the middle of nowhere, charming location, strong local identity, unique food in an unique environment. We spend amazing 24h there.They’re at a level of 2* without any doubt. Ooops, i forgot to mention that indeed Aamanns is a lovely place for lunch or dinner. Modern bistrot atmosphere, excellent wine list, and indeed, local products served in a simple way but so tasty and of such a good quality (herring, beef tartar) that you have a very good time there (at a very attractive price). And Anders, is a great host. Another must. 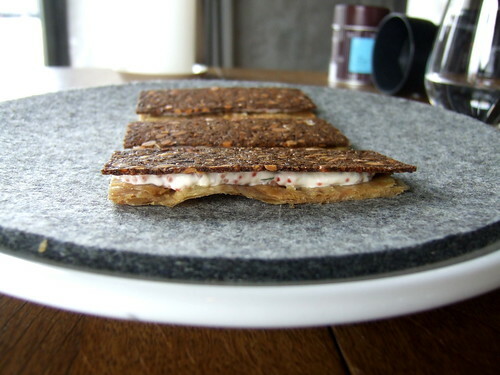 @Trig – i think the point is not the methods but the aim – is it technology for technology’s sake (which would be something like El Bulli or Moto)? 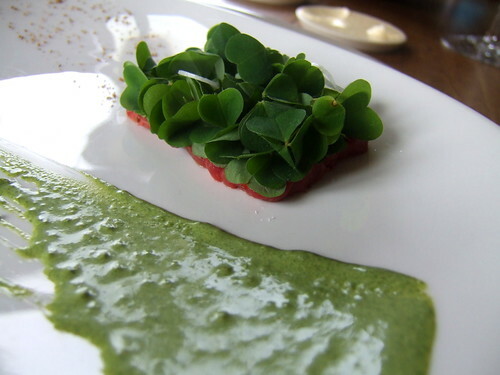 or does the technique contribute to something more that includes a vision – such as noma. (excuse me if we are saying the same thing.) that said, i do know Mikael’s lament is that what you state is true – which i presume is why he has re-focused Gastroville’s priorities. 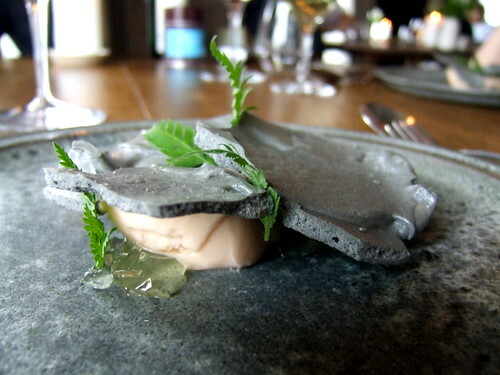 @Laurent – Trine had suggested Oaxen as a potential day-trip but there just wasn’t enough time – it does look spectacular. Thanks for confirming it is as good as it looks. 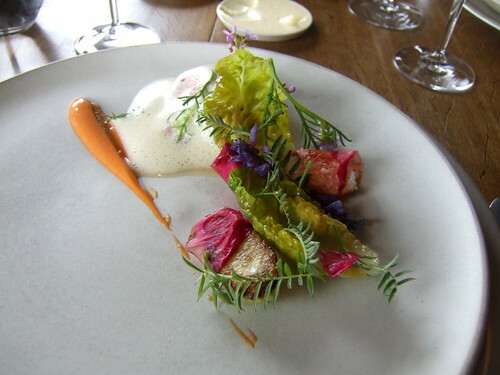 Where would you rank Noma — and Redzepi — in the pecking order? From your pictures, he looks to be well on his way to maybe even surpassing Adria. What do you think? Great review! 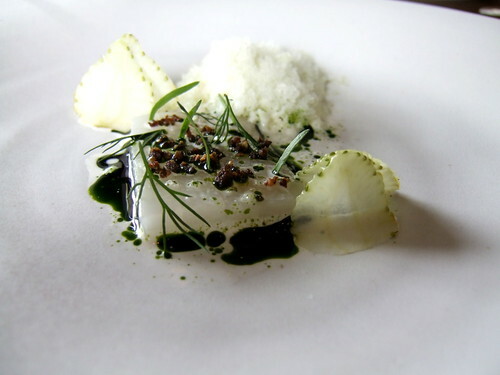 It’s very interesting to follow all the noma reviews from the past couple of years (mostly Trine’s blog, of course) and see how, unlike many restaurants, they continue to improve season after season. So far, in my limited experience, only Urasawa surpasses them, but I’m Japanese-biased and perhaps that’s unfair to say. I can’t wait to go back. Most exciting meal, Chuck. I’m very intrigued by the langoustine. The setting looks almost extra-terrestrial. What are those protrusions on the stone? I’m also very curious about the birch juice. How did that taste? PS. 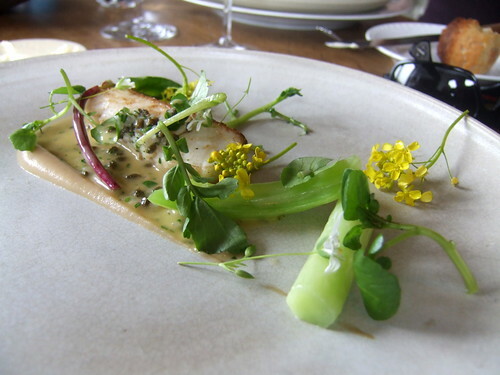 As regard to noma, the most significant development from the start to the meal you just had, seems to be the almost complete absence of corn produce. In many of the dishes in the first cook book, bread supplemented the meat in the shape of large chips and croutons, and porridge were mixed with e.g. 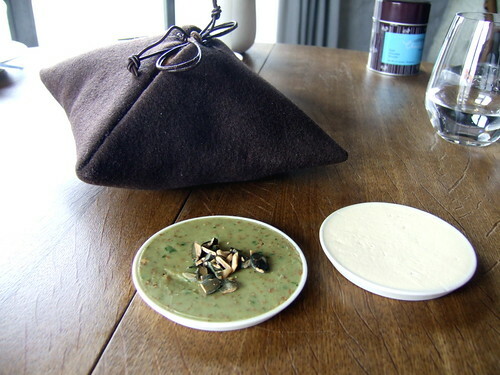 parsley puré and tiny bits of calfs’ tongue. In your meal, almost all of the savory dishes can be reduced to one single format: One animal produce in a vegable setting. The result is, of course, a much lighter cuisine (a nesessity in a meal comprising 15 dishes) but also less “Nordic”. In the traditional nordic diet, a lot of carbohydrate-rich corn produce provied energy to endure the cold climate and harsh labor. FINALEY ELECTED THE WORLDS BEST RESTAURANT!!!! having married a swede i’m always looking for nordic inspired food in stockholm and gothenburg but it looks like i need to travel further south to experience it. Dang, this restaurant’s really getting good. Kudos. How was that levain and spiced salt btw?! My group of 5 ate At Noma’s this past July. Truley a one of a kind experience. We have been to Per se, FL, Masa, Philippe Rochat in Lausanne. I will have just to respect the expert’s opinion. It would be hard for me to find something that I would dare to try. I think it all looks artful and definitely some genius creativity, however, doubt this is my kind of cuisine.